Global food delivery scenario has been exposed to the recent digital advancements and thus became more efficient and convenient. It put forth a norm for restaurants and other food businesses to integrate the delivery service along with their conventional business approach. Considering this current scenario, Agriya came up with an idea to develop an efficacious online food ordering solution, which facilitates business organizations to set up an incredible food ordering platform within a limited period of time. Agriya introduces their first-ever Food Ordering Solution with a vision to help small and medium businesses, to make it easy for them to compete with the industry leaders. It contains many built-in features to streamline the admin-side operations, thus making it more performance efficient. The feature-packed online solution Agriya assures an impeccable user experience by incorporating several user-focused attributes. By simplifying the user-flow and operations, Agriya guarantees utmost user-credibility. The food ordering solution from Agriya’s line of products includes a dynamic UI and navigation, which create an ultimate end-user experience for the users. Advanced search options help them to find their favorite restaurant easily. 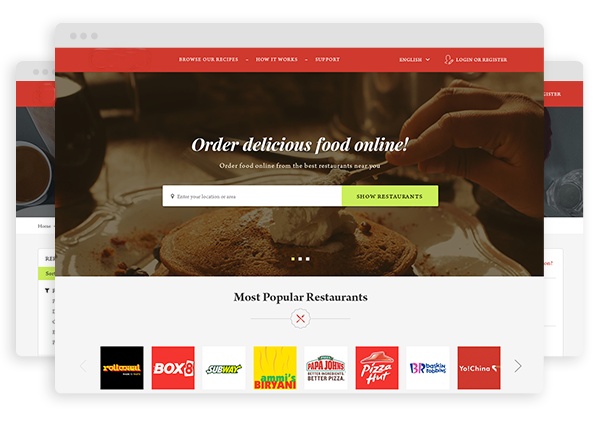 Join the food ordering platform easily by utilizing the flexible sign-in options. You can sign up with social profiles or by using the regular Email method. Give feedback on the services, quality of food delivered etc. Help organizations improve further. Access your previous order information through order history. Track and monitor the same when needed. Users can make use of the reliable payment gateways such as Paypal to ensure a flawless money transaction. 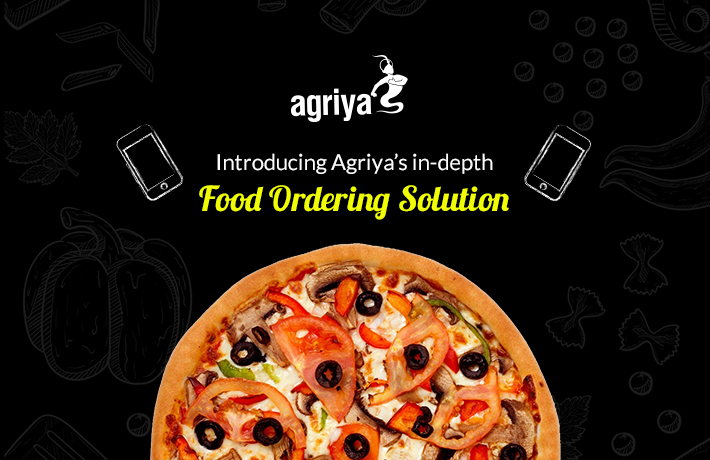 Agriya’s online food ordering solution can be utilized by both own and outsourced delivery. It suits both and satisfies the needs of both. You can set up your own delivery system or else you can run an outsourced delivery business. Handle the orders and delivery with ease and precision. Manage and organize the same, deliver an impeccable end-user experience. With the help or advanced GPS facilities, we provide flawless navigation, which helps the delivery person to complete their task efficiently. Moreover, the business can track the ongoing delivery process as well. The success and sustenance of any business are proportionally related to its smooth functioning. The renowned food ordering solution from Agriya is packed with features to facilitate businesses to organize and manage the process. A powerful admin panel is integrated within the online food ordering solution to aid businesses to take control over the overall process. It gives them a clear-cut idea about the ongoing process as well. Get access to customer behavior data with the help of intelligent analytical insights. Utilize the same to streamline the decision-making process. Take advantage of default Email templates to optimize your Email marketing strategy. Save valuable time and effort by using this great feature. Notify users and delivery partners anytime. Maintain an active communication channel with this.